Awesome Traders Guide to Elliott Wave + a Simple Trading strategy! and how to count Elliott wave patterns correctly. in the forex market, the stock market as well as the commodities market! What a full Elliot Wave pattern cycle is. How to identify elliott wave 1. How to count Elliott Waves patterns correctly. How to enter trades using Elliott wave . How to set price targets using the Elliott wave count and Fibonacci analysis. What is the Elliott Wave Principle you ask? the Elliott wave principle is a method of reading the patterned human behavior of crowds by it's effect on market prices. Crowd behavior is completely different from individual behavior, this was demonstrated by Solomon E. Asch in his famous study "Opinions and Social Pressure". Individuals tend to leave thinking to the 'crowd', as you can see in this demonstration, and crowds tend to shift from optimism to pessimism naturally. Elliott proposed that social mood swings are patterned, and appear in the price movements of markets. These movements then tend to follow the Elliott wave model. The Elliott wave principle offers traders a model for the likely path of prices, which allows the trader to make forecasts for the future path of prices based on the model. 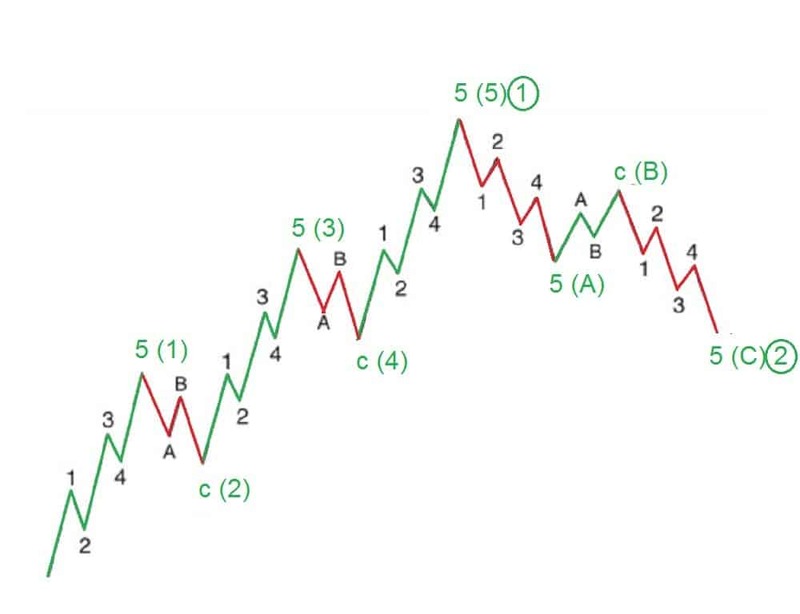 The Elliott wave model says that the price will trace out five 'waves' in the direction of the trend and then will correct in three waves against the trend. If you know the likely trend, and you know where the price is within that trend. You can use this information to place a low risk trade to catch the trend as it progresses. And, with practice, the Elliott wave cycle can be leveraged to make predictions of future market movements. There are 2 main categories of wave form. So; what is the Elliott wave principle then? The complete Elliott wave cycle involves a five wave move in the direction of the trend, known as the 'motive' part of the Elliott wave cycle. This is followed by a three wave counter trend move, which usually retraces some 50% of the five wave pattern, known as the corrective part of the Elliott wave cycle. Motive waves accelerate the market and move the price along, these the trend waves brake into 5 separate moves. Corrective waves are usually in 3 moves, they tend to overlap and make less progress than motive waves. After a full Elliott wave cycle, the price makes a net move in favor of the larger trend. and the general rules and guidelines of wave formation. This will help you to identify Elliott waves with more precision. and that will help map the current position of the price within the larger framework. 2. How to count Elliott Waves correctly. How to identify the dominant trend. Heres a short video on how to use Elliott Wave correctly by first identifying the dominant trend in the market, and then figuring out where you sit within that trend. In the video I concentrate on the USDJPY forex pair. The beauty of the Elliott wave model is that not only can it give you a view on the trend direction. It also offers insight into the trend maturity. 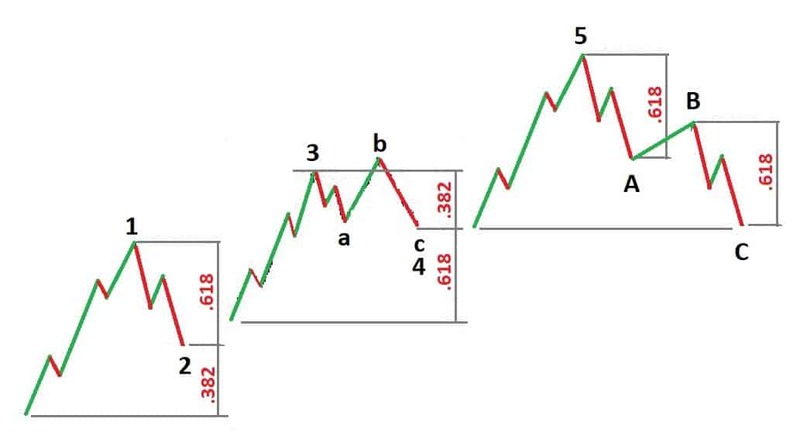 You can learn the trend direction in any market by knowing how to count Elliott waves correctly. If a five wave pattern in Elliott wave '1' develops either rising or falling, that pattern will dictate the trend direction. So, If you identify the trend direction, given to us by Elliott wave '1'. And you know the trend is early in its maturity. Then you can be happy leaving a position open for longer and following that move until its likely conclusion. How far is the Elliott Wave trend likely to go? Whether it is an impulsive move in the direction of the trend which is in 5 separate waves, or a corrective move against the trend. The Elliott wave model offers a gauge as to how far the move is likely to travel. Lets break it down, shall we. 3: How to identify Elliott Wave 1. What is Elliott Wave trading? 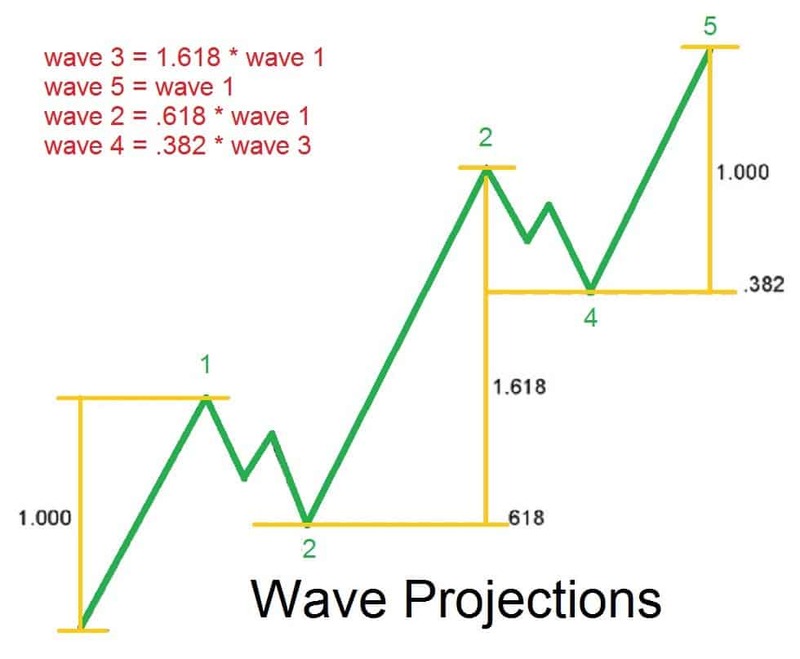 The Elliott wave model proposes that the price moves in 5 waves in the direction of the trend, and waves 3 against. The internal make up of each motive wave should also unfold in 5 waves. This feature allows the Elliott wave trader to identify Elliott wave 1, as it is happening in real time. 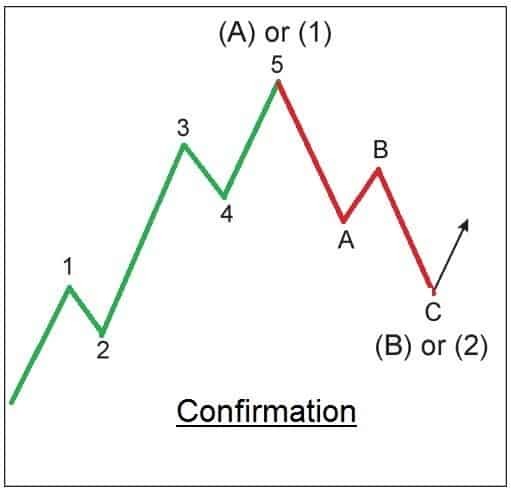 If you can identify wave 1, then you can expect a correction in wave 2.
and you can get ready to enter your position in wave 3.
you can then progress the Elliott wave count as the waves happen. Wave 3 will move higher with the trend, and wave 3 should target a Fibonacci ratio to wave 1. Wave 3 is usually the longest wave within the larger pattern, and can reach the Fibonacci 161.8% extension of wave 1. Can Wave 4 overlap wave 1? but wave 4 should not violate the top of 1. The larger wave structure is completed with a final push up in wave 5. Wave '5' will tend to equal wave '1' in length. 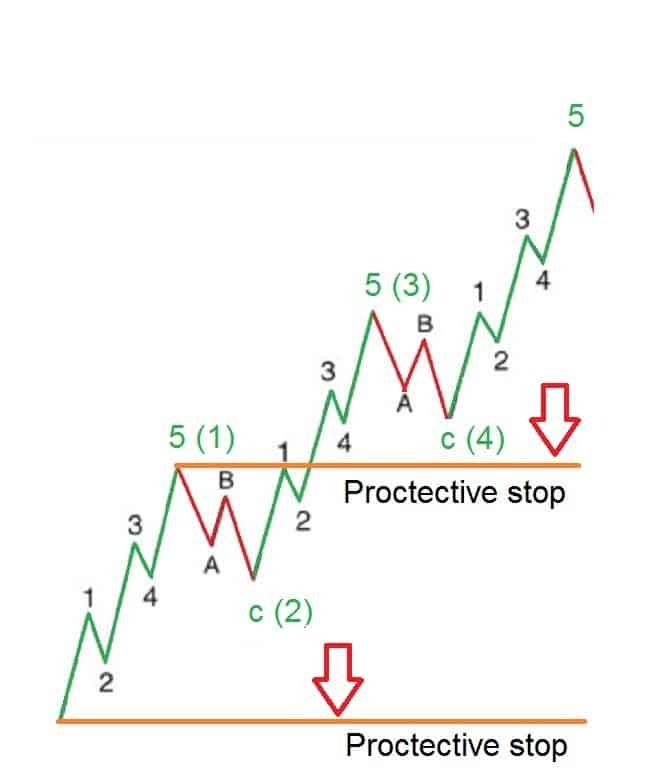 All along you can hold your position open until the waves are complete and use corrections in the trend to place your protective stop. Following the waves improves your entry position, and improves your exit point. This is best way to use Elliott wave in your trading and, you bag you more points in the process! Can wave 5 be longer than Wave 3? While wave 3 is usually the longest of the five wave pattern. It can occur that wave 5 will extend beyond its normal size. This happens whens when the internal third wave within wave '5' creates an extension. In this case wave '5' can reach 161.8% of wave '1'. 4: How to recognize corrections in trending markets. Check out this short video on how to Identify counter-trend moves in Elliott wave. The opposite is true for an Elliott wave correction. A correction will unfold in three waves labelled A,B,C. Counting the waves again allows the trader to trace the correction as it happens. 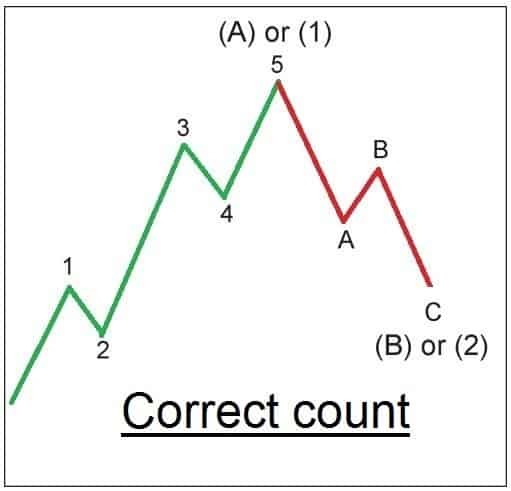 Keeping on top of the Elliott wave count will give you the best opportunity to ride the price correction to its completion in terms of the waves. 5: Where can I enter a trade with the best risk reward ratio? Once you master wave counting methods and you can identify elliott wave 1 in the sequence. Then its time to use this method to identify elliott wave entry points. This involves 3 points of confirmation. Almost like the start of a race - On your marks! There is no point in the world of trying to catch the exact bottom or top of any trend change. You may as well be trying to catch a falling knife! 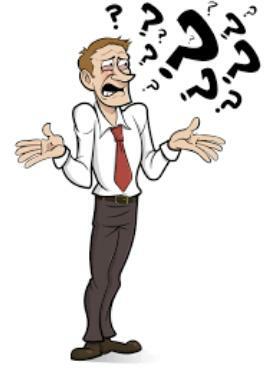 Elliott wave traders are always looking for 'confirming price action' which comes after you identify Elliott wave 1. Confirming price action is called an impulse wave, and an impulse wave that has the 'right look'. Identifying Elliott wave entry points?! 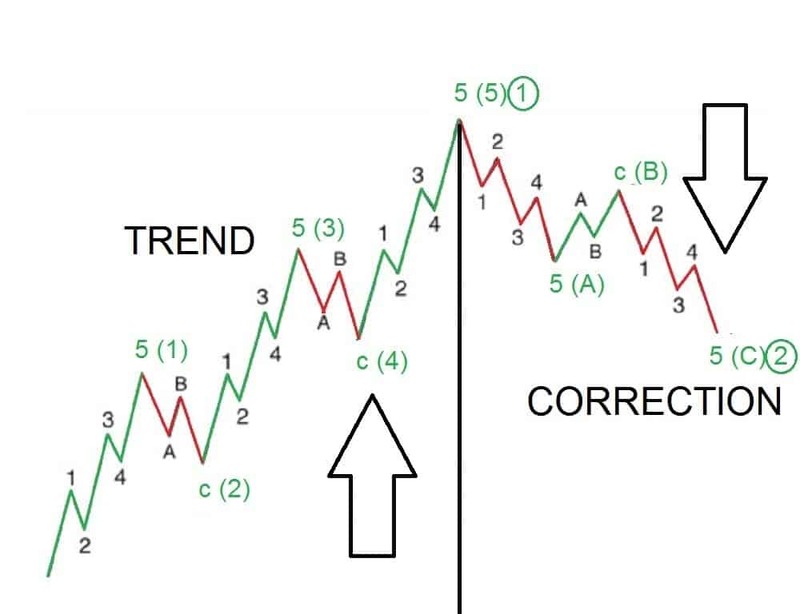 We have to able to count 5 waves in the direction of the trend, and three waves against the trend to confirm the overall direction of the market. 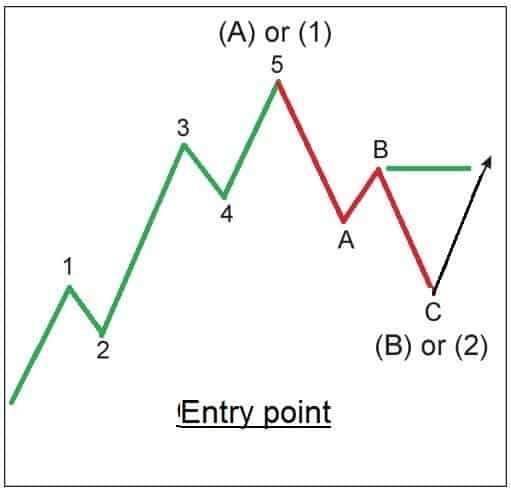 That is the basic structure of an elliott wave entry point. These waves can be labelled as shown. Then, once the price action has reached the end of its wave (2) correction we can look higher in wave (3). we begin to look for the market to turn back in the direction of the main trend. If this happens, it adds a significant weight of confidence to our wave count. We can then say that we have confirming price action. But we don't enter just yet! Our 'go point' is triggered when the price moves past the end of minor wave 'b' within the correction. When this happens, It is go time! As the confidence level is now at its highest, and price has resumed the trend. How do I know if my wave count is wrong? It is always worth while to proceed with caution, and to do that we use PROTECTIVE STOPS. There are 2 Elliott wave rules that cannot be violated within the Elliott wave model. Wave 2 cannot retrace more than wave 1. Wave 4 cannot enter the price territory of wave 1. These are the positions at which we place our protective stops. Once our trade is placed, we immediately check these rules and place our protective stops accordingly. By using these Elliott wave rules and guide lines, we can minimize our losses to a known amount which allows us to trade another day! There are a few simple guidelines to follow when it comes to using Fibonacci with Elliott wave analysis. Here's a quick guide to doing that. A retracement is a corrective move in the opposite direction to the trend. The corrective wave ends at key Fibonacci levels. The corrective wave should find support at these Fibonacci levels and turn back into trend again in the primary direction. A Fibonacci Extension is a method of price targeting within the five wave Elliott wave structure of the primary trend. these target levels are given by key Fibonacci levels. Here are the main Fibonacci extension used in the Elliott wave model. You can use the Fibonacci sequence to set price targets and create entry and exit levels. A Fibonacci Ratio is useful to set internal targets for an wave count within an ongoing Elliott Wave structure. The internal waves of an Elliott Wave structure tend to target the Fibonacci Ratio. Wave 2 usually retraces either 50% or 61.8% of wave 1. Wave 3 or wave '5' typically reaches 161.8% the length of wave 1. Wave 4 usually retraces 23.6% or 38.2% of wave 3. I use these levels to target entry and exit points in my trading. As you can see above the overall wave form. which commonly goes hand in hand with technical analysis. lets see the wave form in action in the Forex market. Above is a chart of the EURUSD Forex pair in hourly bars. The complete wave form traces out 5 waves up and 3 waves down over a period of 6 weeks. The price went from 10530 at the wave 1 low to 11470 at the wave 5 high. A move of 940 points. Following an Elliott wave trade example. You could enter a trade at the GO point illustrated above, at about 10770. this is where the price moves above the wave 'b' of the minor correction giving a buy signal. A protective stop would be placed at the wave 2 low risking about 130 points. Then using a trailing stops method we could net about 550 points overall. 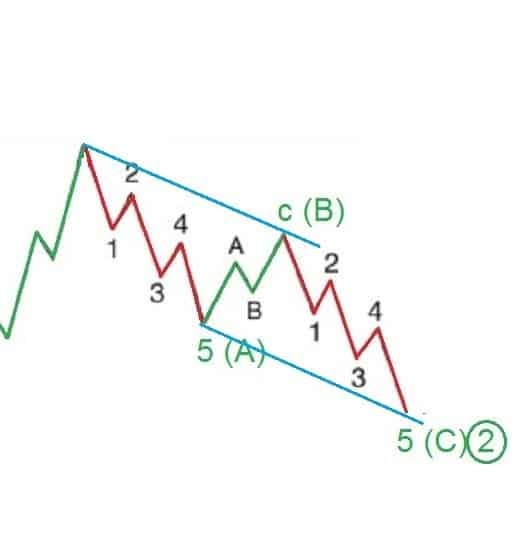 There are 3 main types of correction waves, Zig Zag's, Flats and Triangles. The zig zag form: The zig zag correction is the simplest and easiest corrective form to track. It unfolds in a 5/3/5 manner, 5 waves in A, 3 waves in B and 5 waves in C.
Both wave A and C wave tend to be the same length in points. Also the whole wave form tends to fit in a trend channels quite neatly (shown in blue). Lets look at a real time example. This is a magnified picture of the 3 wave correction off the high in the previous example in the EURUSD forex pair. The above example is a perfect real time example. In a zig zag correction we expect to see wave 'a' unfold in 5 waves – got it. wave 'b' trace out 3 waves – got it again. and then wave 'c' complete another 5 waves down, perfect form! Wave 'a' down totaled 400 points. And wave 'c' came to 405 points. And to top it off, the whole structure fits in a beautiful parallel trend channel! Using the guidelines of the Elliott wave model we could also trade this structure with a high degree of confidence. Waiting for wave 'a' down to complete in 5 waves, we watch for a three wave correction. And once we get it, we can enter on the short side expecting a downward move of similar points distance as wave 'a'. in this case it was about 400 points! Thats two successful Elliott wave trades in the space of 6 weeks, netting 950 points in total! There are 2 types of flat correction, the regular flat and the expanded flat. Both trace out an internal wave structure of 3-3-5 waves. and wave 'c' travels beyond the end of wave 'a' thereby expanding the travel. Lets look at a real-time Elliott wave Forex example. While flat corrections are notoriously hard to follow as they unfold, when it resolves, it seems to paint a complete picture. And when the correction completes. You are in a position to make a very high confidence call on the future direction of the market. The form of the triangle which occurs the most is the contracting triangle. Triangles are a pause in the trend. It is almost as if steam is being built up in the market. Only to explode in the direction of the trend when it concludes. A triangle looks like this. each wave made up of 3 distinct moves. Each separate wave will complete within the range of the previous wave. As the wave completes, it leads us to a sure outcome and a tighter stop-loss. An Elliott wave trader can use the concluding wave of the triangle as an entry point. The triangle offers unique risk reward ratio among waves. Lets check out some real world triangles. Notice the power of the move after the triangle is complete. It seems to explode away from the end of the triangle. These are powerful moves to catch. The aim of a trading strategy is to identify market turning points, either highs for selling or lows for buying. If you can discern an Elliott wave pattern within the often chaotic madness of the price action, you can make a clear judgement on what should happen next. And you know exactly where you are wrong. Use this Elliott wave guide to bring your trading out of the chaos and into a structured approach.